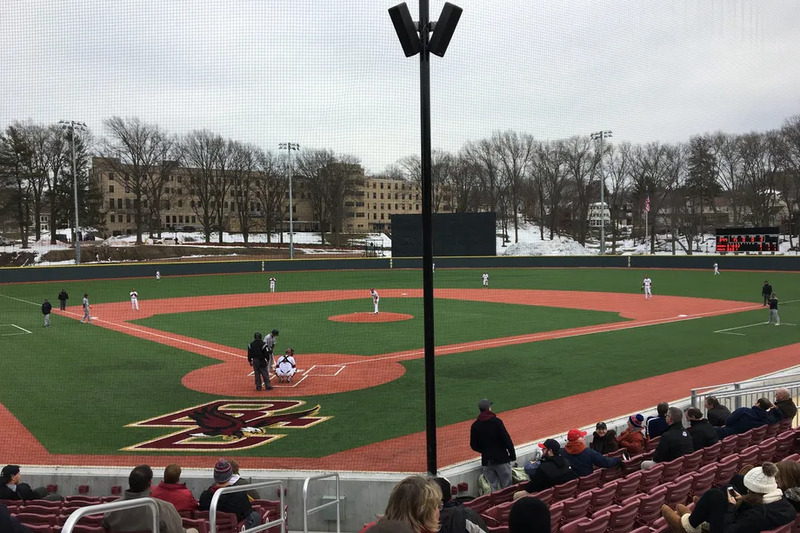 The Brighton Baseball Field at the Harrington Athletics Village opened its doors in mid-March 2018, giving the Boston College baseball program a new home on Boston College’s Brighton Campus. The baseball stadium includes 1,000 seat-back chairs, with an expandable capacity to 2,500 for championship events. The new field is equipped with AstroTurf Diamond Series to allow the Eagles to play in the unpredictable New England weather, and brand new LED lights to allow night games. The stadium features batting cage facilities, heated dugouts with restrooms inside each of the dugouts. The facility also includes a bullpen with three pitching mounds (two turf, one dirt) on the right field side and two pitching mounds (both turf) on the leftfield side. The Stadium also has 4 camera angles for in game video analysis that will be stored and viewed by BC players in the video room just off the dugout. A sports medicine area was also constructed at the facility, as well as large Daktronics scoreboards as well as video replay capabilities. $175.00 for Two-Way Players- Only players wishing to pitch and play a defensive position and hit during the games. Boston College is excited to offer a number of baseball camps thoughtout the year for players all all ages and abilities. Our Baseball camps are a great way for young athletes to learn new techniques and become overall better players. In addition, campers will have the opportunity to learn from our assistant coaches and current student-athletes. 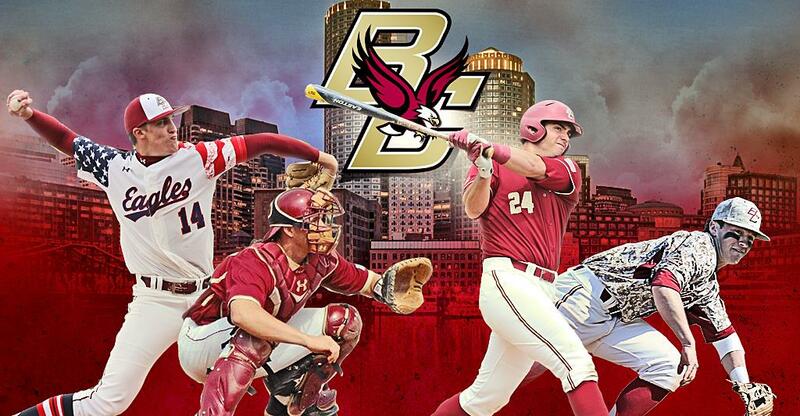 Boston College Baseball camps are designed to help young athletes excel in the sport of Baseball. Boston College Baseball Camps are open to any and all entrants (limited only by number, age, grade level, and/or gender).